I thought if I bought a nice ornamental grass and planted it, that my current obsession with grasses would subside a bit – but all that is happening is that I want more! Such a pity that most require a lot of sun or I would be hotfooting it off to the nurseries to buy every pretty grass I can find. What I love about grasses is the many different textures, colours, variegation and most of all, the way they move in a breeze. I have lots of Carex in the garden which has been planted as accent plants to my flowers shrubs and as an alternative to ground cover. My favourite is Acorus gramineus which I have in the shade garden and looks quite lovely planted with Lamium. The contrast in colours works so well and I delight in this simple grass every day. 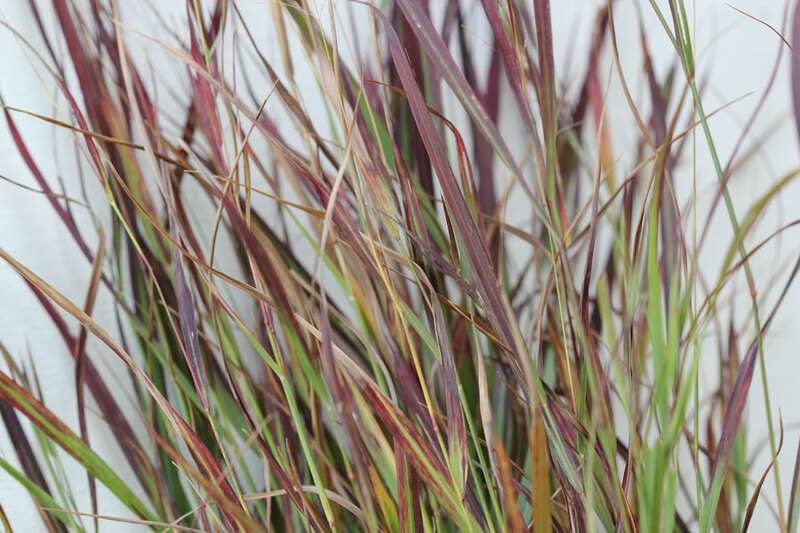 On to my newest acquisition … Panicum Virgatum “Shenandoah” (also known as Red Switch Grass or Shenandoah Switch Grass). Purchased just over a week ago, the photographs show what it looks like now in Autumn. From what I’ve read and the photos I’ve seen on the Internet, the leaf tips turn red soon after it starts to grow in the spring and in Autumn (fall) the foliage is a spectacular deep burgundy colour. It likes full sun, prefers moist fertile soil but adapts to a wide range of soil conditions. I’ve planted mine in a barrel – I may move it in future but for now I wanted it where I can see it and be able to move it should it need more sun. Panicum virgatum is native to North American tall-grass prairies from the Rocky Mountains to the Atlantic Ocean and was one of the most prominent prairie species. This grass was one of the important components of the tall-grass prairie that once covered the vast interior of the United States. A versatile grass, it tolerates a wide range of soil and climatic conditions. As the habitats of Panicum are taken over by humans, these grasses are found in wetter sites than before. Panicum is valued as an ornamental for its erect form, showy flowers and interesting winter silhouette.Switch grass is a clumping, warm-season, noninvasive grass. Foliage color ranges from deep green to steely blue. Plant height varies from 4 to 7 feetwith feathery panicles rising 1-2 feet above the foliage. Flowers are pinkish to reddish, maturing to silvery gray. Autumn color of the plants is various shades of yellow. Plants remain upright throughout the winter or until cut back. (Information courtesy of North Creek Nurseries – see link for additional info). Hi. I think beauty is really appreciated most when it is very uncommon. 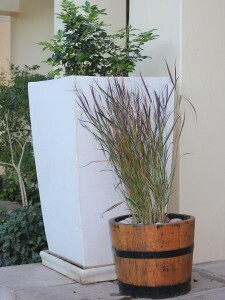 Grasses are so plenty here in the tropics and not many love it that much as you do. I also appreciate it on highways as they sway with the wind, and the colors are really beautiful. In my neighborhood in the property in the province i occassionally take photos also of a few of them, sometimes also post them here. But we will not take time to plant it the way you did, because they are weeds and can be seen anywhere. The farmers want to eradicate them to lessen their work in the fields, haha! And here we are clamouring to have those difficult to grow semi-temperate plants! We people are really difficult to please, says God. Used in the right setting I think grasses are very beautiful. I have grown some in pots, which I think is a great way to enjoy them on a small scale. Dexter looks like he’s more of the supervisor than the worker type. 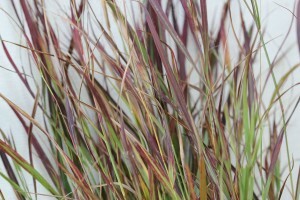 I like the look of ornamental grasses, but have not tried any yet. Who knows – maybe this year will be the year! For years I completely overlooked using grasses in the garden (beyond lawn grass). Once I started planted them though, I was hooked. Even when they’re dormant they have such beautiful visual interest in the garden, rustling in the lightest of breezes. My crazy dogs could learn a thing or two from Dexter. Better to appreciate the plants from afar, than crash through them! hehe, I sometimes wish Dexter would always “garden” like this. His usual gardening style is far more active … i.e. sniffing and examining, even digging! Strange that buying *one* of a plant you’ve recently discovered wouldn’t reduce your obsession (says the guy who somehow now has over 50 types of bamboos). Putting them in pots is a good strategy to start with, as it allows you to move them around more to find the sunniest areas, and where they look the best. Usually when grasses don’t get as much sun as they want they get floppier than they should be. Also remember that many grasses produce lots of roots — panicum can grow some really deep ones — so they’ll probably get root-bound after a year. Then take them out and divide them and replant — free plants! Hi Alan … very soon you will see what Barbie & I have been up to these past two days! A road trip to a wholesale nursery up country that specialises in grasses! (And its all your fault . So so true! I have also been bitten by the “grass bug”. They look so amazing in the different shapes and heights and colours. I ran up and down the nursery ooo-ing and aaah-ing! My garden is going to have a total makeover – watch this space! I too love the grasses for texture and color. I wish I had the space to use more of them. Carex grows like a weed in my garden. Dexter seems like a typical canine helper, nap time. 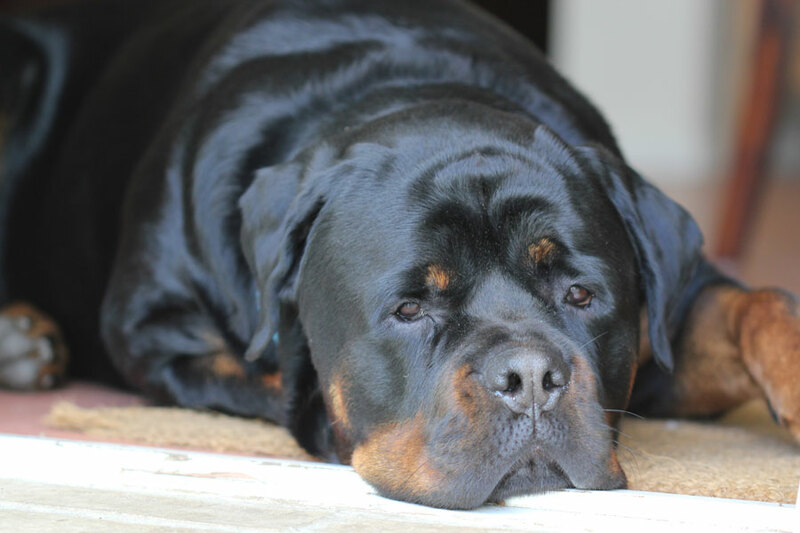 Hi Donna – when I work with “pots” he gets very bored. He prefers the digging in the ground type gardening and then tries to help!